Join us for a special episode as we welcome Rock n' Roll super star, Eddie Money to the show. 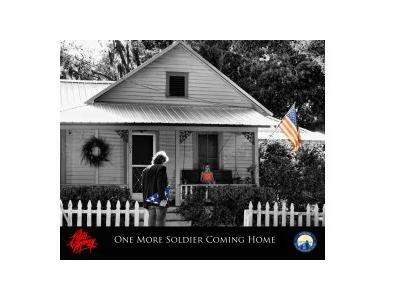 Eddie Money, who’s name and voice is immediately recognized worldwide across radio airwaves, and is an all-time favorite of many a Rock n’ Roll music lover, young and old, has released a new single entitled, “One More Soldier Coming Home.” The honorary, sobering and timeliness tribute to our men and women of service is delivered by Money who is as equally as passionate about the message as he is in giving back—to recognize our soldiers and show his support for their families. In an alliance with the Intrepid Fallen Heroes Fund, a non-profit organization whose mission is to pay tribute to those who have sacrificed for the United States, he is donating 100% of the proceeds from the release to the organization. Currently available for download via Eddie Money’s website, iTunes and other digital outlets. Eddie Money is an American Rock singer-songwriter who celebrates more than forty years in music making. Credited with a string of Top 40 hits ("Baby Hold On"/"Two Tickets To Paradise"/"Take Me Home Tonight") and platinum albums, Money continues to play over one hundred dates a year performing on stages across the globe. More information about Eddie Money is available at www.eddiemoney.com.